"Back in May, when I got a call from someone in the N.B.A. asking if I would possibly be interested in the W.N.B.A., my reaction was, 'Yeah, right',.. But I thought it would be an interesting journey if I decided to do this. It would give me an opportunity to share my message to young people on a bigger platform. I think I can be an asset to a franchise, so it comes down to, Why not?" - Marion Jones on her new training focus - the W.N.B.A. Fresh out of prison for cheating the sport of track and field and committing check fraud, Jones was a member of a 33-2 national championship UNC team in 1995. 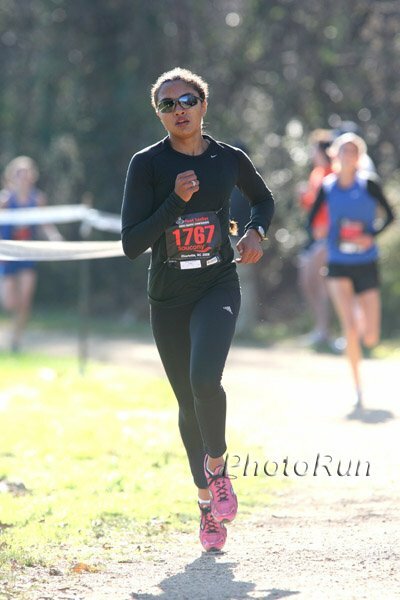 Linda Somers-Smith, age 48, ran 16:14 5K at Silicon Valley Turkey Trot! Marion Jones to play in the WNBA!? If humans evolved to run, why do we suffer so many injuries? Japanese runners in the NCAA? Which runner has demonstrated the greatest range of running ability? Crews, 25, has run 3 marathons and won all 3 including his latest, a negative split PR 2:17 win in Philly to become the first American winner since Cornellian Brian Clas in 2000. LetsRun's Employee #1 finished 7 minutes behind Crews in 2nd. Former NCAA 1500m champion, American record-holding DMR anchor and 4th-placer at NCAA cross country Brie Felnagle fell off the radar last spring when she skipped the NCAA outdoor track season. She tells FloTrack she took time away due to burnout and is excited for her final outdoor season coming up. 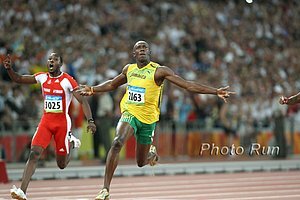 Former 200m and current 400m world record holder MJ is in Jamaica with BBC producers to make a Usain Bolt documentary. Easy for him to say, MJ pronounces Bolt could beat Americans LaShawn Merritt and Jeremy Wariner at 400m this year without much training. JapanRunningNews' Brett Larner started a thread after 2009 Pre-Nationals comparing the NCAA runners to the comparably-aged Japanese runners who ran the Hakone Ekiden 20k trial. After receiving a lot of response from the LRC message boards who felt the honor and ability of American college runners was being questioned, Larner dug deeper to find stats on the best American and Japanese performances from 5000m to the marathon by runners aged 18-22. Bolt Says Yohan Blake Will Be The Next Big Sprint Star Last week he was saying it was Antiguan Daniel Bailey. Paula Again Asked by Press About Her Pregnancy Plans 35 year-old Paula is planning on having a second child next season, but don't worry Britons, she's still planning on going for the gold in the London 2012 Olympic Marathon! *Northeast Results Aisling Cuffe wins NE regional by 46 seconds, sets 21-second course record. *South Results Texan Craig Lutz just missed GTown star Andrew Bumbalough's course record running 14:36 in the South Region. Junior Chelsey Sveinsson (left) won the women's race. Sveinsson was 4th at Foot Locker nationals as a sophomore last year and now has qualified 3 times. *Midwest Results As expected, indoor track/triathlon star Lukas Verzbikas won the Midwest regional. Megan Goethals won the region for the 2nd straight year while senior Emily Sisson qualified for her 4th Foot Locker national championship race. LRC Thread 1: Footlocker is going to have a "Big 4" all from a different region!!! LRC Thread 2: Has Nike's NXN ruined Footlocker National? Weidlinger is the man who owns every national record from 1500m to marathon including steeplechase. He ran 2:10 for the Austrian marathon national record 5 weeks ago while Sammy Wanjiru won the Chicago Marathon 7 weeks ago. 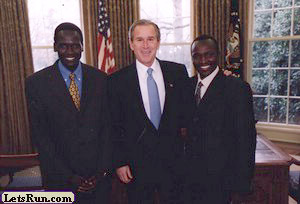 Wanjiru was clearly not himself after arriving late to Australia because one of his children back in Kenya fell sick. 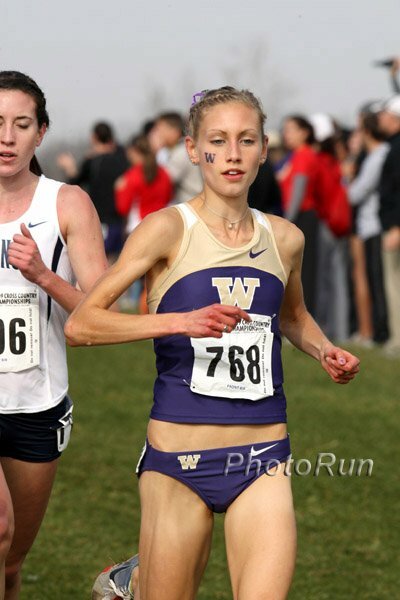 Schaaf was runner-up at NCAAs for the University of Washington and added a senior Canadian crown to her 2 junior titles. Reid has come back from a torn labrum to lead Villanova to a team title. 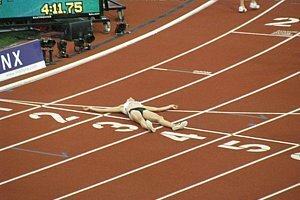 She talks about the team nature of the sport and coming back from a long layoff. Otis Ubriaco And Lizzie Predmore Win Nike NY Fayetteville-Manlius girls wallop Saratoga who are considered one of the top-5 women's xc teams in the country (score 41-77).